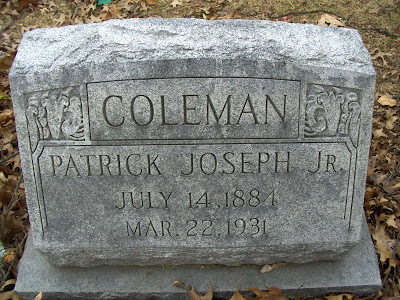 Every Man a Quotation: Tombstone Tuesday: Patrick J. Coleman, Jr.
Patrick Coleman's parents, Patrick Joseph Sr. and Margaret Murphy, along with his sister Elizabeth, emigrated from the "free state" of Ireland in 1882 and settled on Steele Street in Frankfort, Franklin County, Kentucky. Patrick Jr. was born there in 1884 and didn't stray far at all, living at house number 509 until his death from pneumonia in 1931. He was a career plumber and never wed, instead sharing the family home with his parents and younger brother Lambert and his family (which included seven children). It appears a bout with influenza brought on the pneumonia, and Patrick died at home. 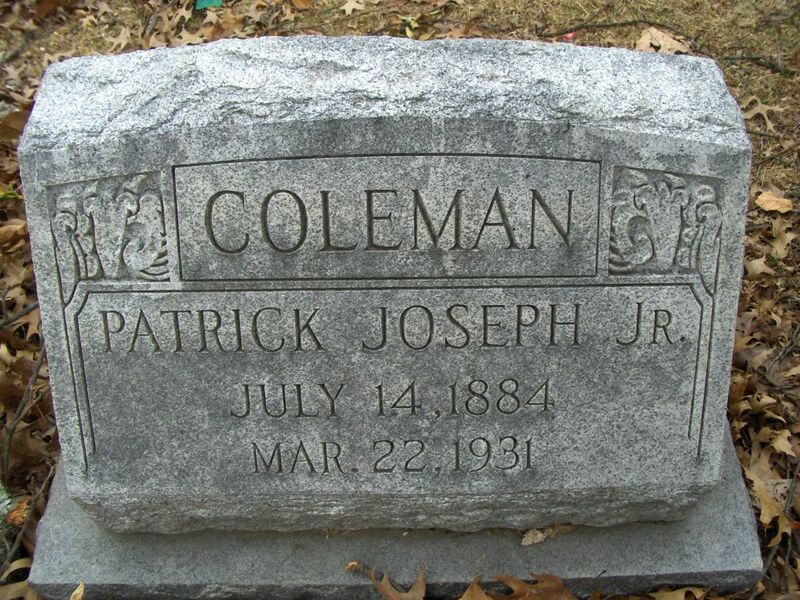 He was buried two days later, on 24 March, in Frankfort Cemetery.